We all seemingly live two lives — one we live through our bodies, and another one that we live through our screens. In our view, it should be one and the same: that the virtual world and the real world should be connected seamlessly. That’s why we created Wooz.in — we are the glue, we are the catalyst for online-to-offline and offline-to-online interactions. We want to take your digital life beyond the screen. 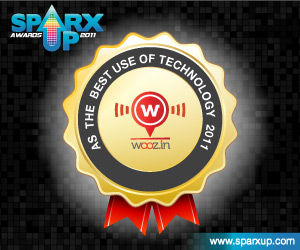 We won an award at SparX Up Awards 2011 for the Best Use Of Technology Category. We started out combining RFID with social media to implement at branded events, and through the years of developing the software, researching the most compatible hardware and perfecting the deployment, we have developed Wooz.in into a cloud-based platform that can be used all over the world. We provide the software, you provide the software or hardware integrations. The combinations are endless — for you, your company, your brand and more. Tell us how you would like your worlds connected!